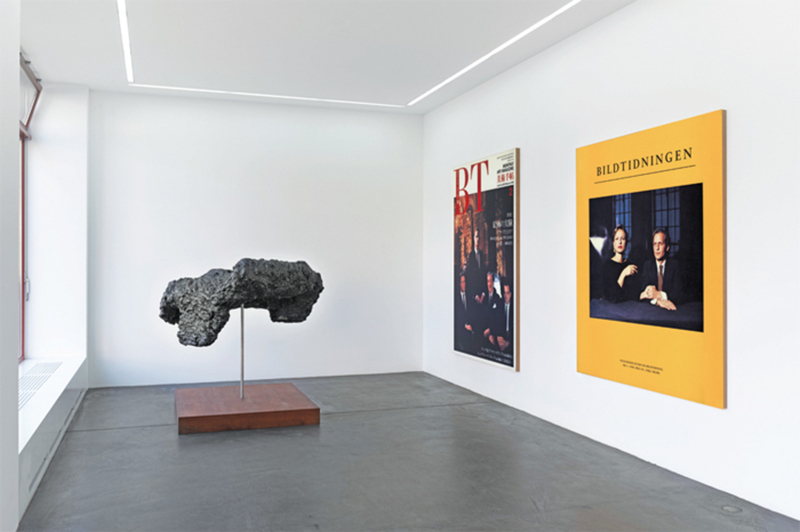 View of “Clegg & Guttmann,” 2013. From Left: DA, 2013; BT, 1982/1990/2013; Bildtidningen, 1985/1989/2013. Power, it’s been said, has been a central theme of Clegg & Guttmann’s portrait photography since the 1980s. The titles or captions of some works openly catalogue the professional stature of their subjects, and symbols of wealth and position abound: power suits, power ties, strings of pearls, bourgeois coiffures. Some of the subjects, in fact, commissioned their portraits. The images, too, as time has come to show, possess a palpable iconic status and historical relevance not unrelated to power. 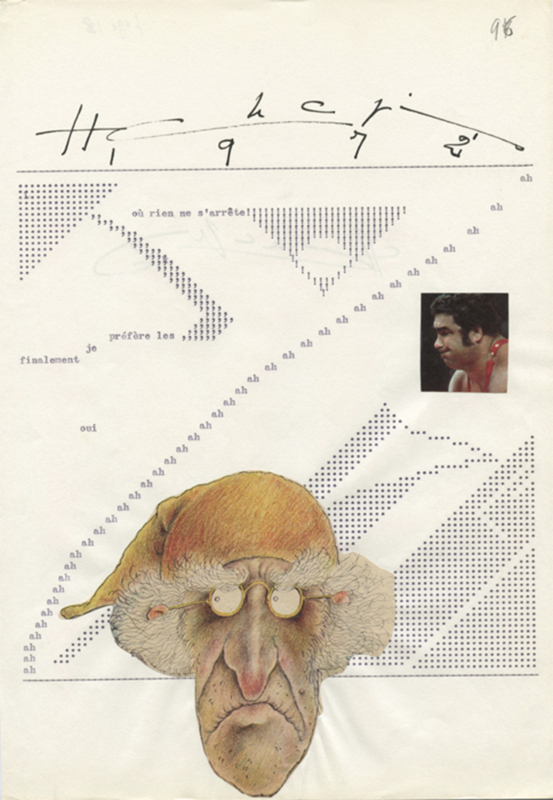 Page 96 from Henri Chopin’s La Crevette Amoureuse (The Shrimp in Love), 1967–75, typescript and collage on paper, 11 1/2 x 8 1/4".